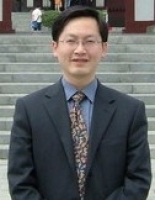 Mr. Andy Wang was graduated from Shanghai International Study University as a Bachelor of English and American Literature. After several years working in famous Chinese Internet companies like SOHU, Andy went to Australia in 2000, and got the Master of e-Commerce degree at Griffith University in 2001. Starting from 2006, when Andy started his own Marketing Promotion Company ---Bonatech, he has also invited to work with several International Consulting Companies like IDG and Synovate as an Consulting Reference for Internet Industry. Because of the valuable knowledge and experience of China Internet Industry, as well as the good relationship with many universities around China, Andy has been devoted to helping local educators to find out the modern way to develop qualified graduates of the Internet Age. In Apr. 2006, Andy joined National e-Commerce Competition Committee, and visited more than 20 universities around China to give the speech --- “The Connection between Study and Employment for e-Commerce Students”, which was greatly welcome by most of the students. After that, Andy put more focus on developing the cooperation between China and Australia on projects about Online and Offline Education, Internship and Employment, Study Tour and Degree Courses, Education Visit and Partnership. Currently, Andy is working for Australian International Education Consortium (AIECG) as the Business Development Manager, focusing on the communication with China government, education institutions and enterprises.